Arts ​Alive is offered once again to Indian Trail Junior High School students in grades 6-8. This is the third session for the 2016 year. The program enables students to participate in dance, music, theater and visual arts workshops. Mentors offer their expertise while working with students in the arts, above and beyond their academic studies, in a safe setting after school hours. This session includes 1) Mask Making with collage artist Tanya Blanco, 2) Jewelry Making with Taylor Wilson and 3) Improve to Film with Tony Papaleo. Blanco enjoyed working with the students so much that she expressed her wish to come back for more! Arts Alive is funded by the JCS Foundation through the DuPage Community Foundation, the Addison Center for the Arts and Addison School District #4. 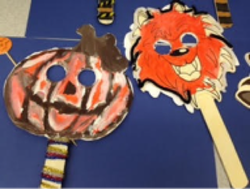 Since October 2013, the Addison Center for the Arts has offered Arts Alive: An After School Art Program to junior high students in out community. 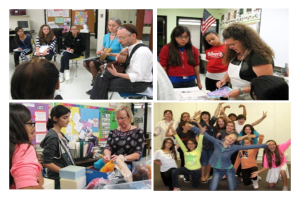 During Arts Alive sessions, students participate in music, collage, fused glass, felting and theater workshops. We believe arts education fosters critical thinking, problem-solving, teamwork and appreciation of other cultures, as well as helps students develop skills that can be used throughout life. In our Arts Alive program, mentors offer their expertise while working with students, many of whom would not otherwise have the exposure to certain disciplines due to the course of their academic studies. Partial funding for Arts Alive is provided by the DuPage Foundation. The ACA was one of 30 not-for-profit organizations in DuPage County to receive a grant from the 2013 Fall Discretionary Grant Cycle of the DuPage Foundation, which is based in Wheaton, Illinois. 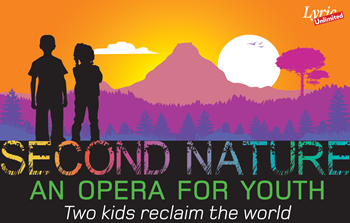 Set in a future where humans have turned their backs on nature, Second Nature tells the story of two inquisitive and courageous young people who decide to leave the safety of their artificial habitat and work to heal the planet. This entertaining and thought-provoking opera will delight students and inspire further exploration. 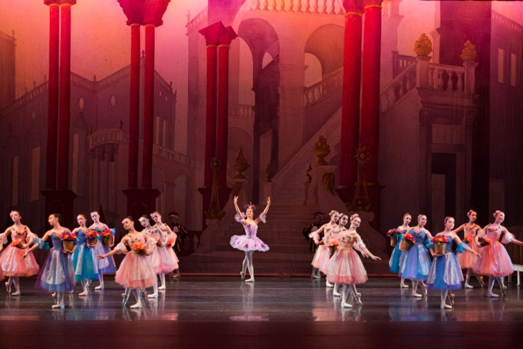 The Addison Center for the Arts presented Salt Creek Ballet’s Sleeping Beauty: Aurora’s Wedding with Lecture Demonstration on September 17, 2015. The ACA was thrilled to bring Salt Creek Ballet’s classic version of Sleeping Beauty: Aurora’s Wedding to Addison Trail High School. There were two performances, which were designed for students in grades 2-5. The performances were accompanied by a lecture demonstration, which highlighted the vocabulary, movement and history of ballet. More than 1,700 local elementary school children attended the two performances, many of them attending from Addison School District #4.